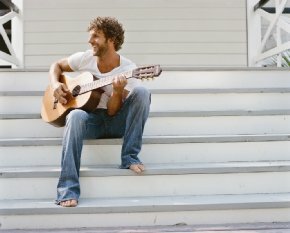 Billy Currington is known for changing things up a bit. With his latest single release Love Done Gone Billy is shaking up the country world once again. The opening of the song is full of a big band sound. It’s not what you’d expect from a country artist, but over the years we’ve come to expect the unexpected from Billy. But it’s different in a good kind of way. There are horns playing crazy notes at every twist and turn. There is some fun, uptempo piano stuff happening throughout the tune. There is just a lot of music happening with this track. The topic of Love Done Gone is the story of a young couple where love didn’t work out. They’re convincing each other that it’s over. Billy takes his usual laid back approach to the story as he compares the waning love to everything else that fades in life. It’s a cleverly written song from a lyrical standpoint, but what I think makes this song something special is the way the music – the crazy music – captures the way love can feel sometimes. If you’ve ever been in love there are some crazy times. There are those instances you just can’t explain and don’t understand why this craziness is happening to you. In the song Billy can’t explain why the relationship didn’t work out. Things went crazy along the way and he can’t really comprehend the situation. The music is crazy, but that’s how love is sometimes. The song has horns blasting and pianos going crazy, but that’s how love works sometimes. In this case it’s the end of the relationship and the best way to express it at this time was to sing about it in the form of a crazy song that is absolutely nuts, but in the end kind of works. On the surface this song will sound crazy and out of nowhere, but with a little more understanding I think it’s pretty neat.